The President of Emirates, a seasoned industry veteran, and his Finnair counterpart – a relative newcomer to the airline industry – will be the keynote aviation interviews at World Travel Market London. Sir Tim Clark, who has been an executive at Emirates since it launched in 1985, and Pekka Vauramo, who took over at Finnair in 2013, will be interviewed by WTM aviation expert, John Strickland, Director of JLS Consulting. Strickland said: “Sir Tim is well regarded globally and has been the architect of Emirates’ strategy, overseeing dramatic change and taking the airline to become a truly global player. - He is an elder statesman of aviation and understands every aspect of the business. 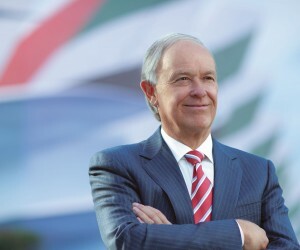 - It is rare for someone to be at the top of an airline for so long but Emirates really has benefited from Sir Tim’s vast experience and vision. As well as differences, there are parallels between the two airlines, said Strickland. - Both are making the most of their geographical positions, with Emirates building a global network from Dubai – linking into the rising economies of Asia and Africa – and Finnair opening up new Asian markets and developing quick transfers in Helsinki,” he said. 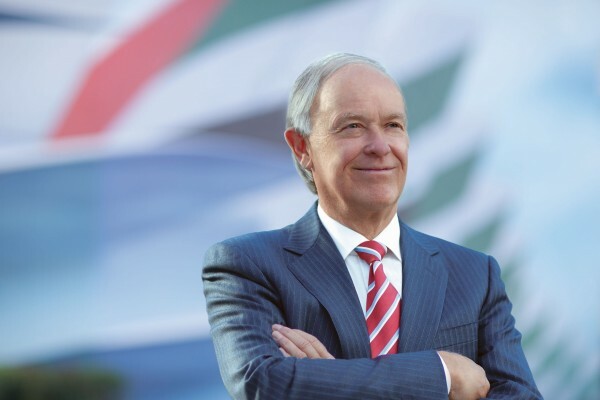 - Emirates is a major customer for Airbus and Boeing, and Sir Tim has an important influence on the aircraft design decisions of the two manufacturers. - The airline is also working with Silicon Valley and Oxford University to explore the opportunities presented by big data and how it can help transform the business, and customer relationships. - Meanwhile, Finnair is introducing the state-of-the-art Airbus A350 to its fleet, a new-generation aircraft, ideal for serving such long-haul routes. Despite reporting a record net profit of $1.9bn for 2015-16, it’s not all plain sailing for Emirates, said Strickland. He said challenges include complaints from US carriers about alleged unfair subsidies for Gulf airlines and low-cost competition on long-haul routes. Vauramo, who became President and Chief Executive of Finnair in 2013, previously worked in the cargo-handling, mining and construction sectors. In August 2016, he announced Finnair will develop a cost-efficiency programme in order to make savings of €20 million a year by the end of June 2017. As part of its growth strategy, the Finnish carrier will add new routes in summer 2017, to Reykjavik, Corfu, Menorca and Ibiza; and will increase capacity to UK and Ireland. Sir Tim will be the first keynote interview, as part of the Airline Seminar programme, onMonday 7 November, from 2.45pm-3.45pm, in the WTM Inspire Theatre. Vauramo will be the second keynote aviation interview, taking place on Tuesday 8 November, from 11.30am-12.30pm, in Platinum Suite 3.